Susan Masten (on the left ) and Pam Bates (on the right) at the MidWinter Conference. Submitted photos American Legion Auxiliary member Pam Bates explaining the “Attitude Tree” to Teresa Isensee, CDVP. FAIRBORN — The annual American Legion Auxiliary Department of Ohio held its MidWinter Conference Jan. 25 and Jan. 26 in Columbus. The special guest was Teresa Isensee, WI the National Central Division vice president, who spoke on the importance of supporting veterans and the community through assisting the Dayton VA and Hospice centers as well as through the auxiliary’s community service program and its national security program. She encourage Auxiliary members to touch base with all the state and federal congressmen to gain their support for veterans programs through devloping and passing bills for their benefit. Among those in the 200 attendess were two local women: Susan Masten and Pam Bates. Both these ALA members hold national and department appointments. Pam Bates, department leadership chairman, held a two-hour leadership workshop that was visited by the national guest. Various topics were discussed including protocol, writing narratives, discussions and activities on attitudes and kindness to members and others as well as being a goodwill ambassador for the Auxiliary. 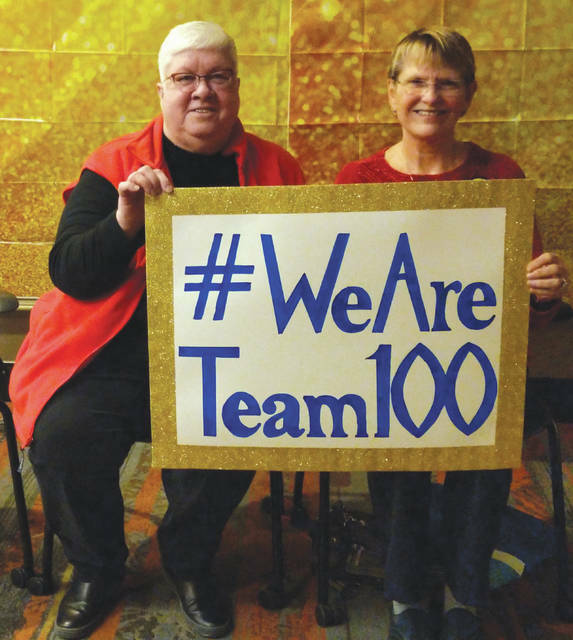 https://www.fairborndailyherald.com/wp-content/uploads/sites/50/2019/01/web1_amlegauxjan2.jpgSusan Masten (on the left ) and Pam Bates (on the right) at the MidWinter Conference. 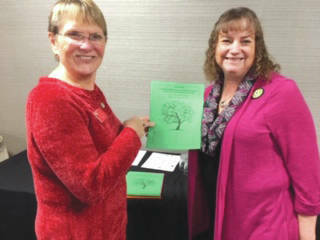 https://www.fairborndailyherald.com/wp-content/uploads/sites/50/2019/01/web1_amlegauxjan1.jpgSubmitted photos American Legion Auxiliary member Pam Bates explaining the “Attitude Tree” to Teresa Isensee, CDVP.